The federal healthcare budget crisis is affecting yet another program with significant national impact. The National Quality Forum is still awaiting funding approval from Congress that accounts for roughly 70% of its overall budget. The deadline to receive the federal dollars expires at the end of this week. Federal funding for the Children's Health Insurance Program and for federally qualified health centers also runs out Sept. 30. NQF, a Washington, D.C.-based nonpartisan organization that aims to improve healthcare through quality metrics, is partially funded through the Medicare trust fund. Congress usually approves funding for a two-year period and the funding is roughly $30 million per year. "It is extremely critical Congress does take action in the near term," said Dr. Shantanu Agrawal, president and CEO of NQF. The fact that funding hasn't yet been secured is likely because Congress has a loaded agenda, and not due to a lack of support for NQF's mission, he said. The organization historically benefits from strong bipartisan support. "They (congressmen) are clearly pretty busy and they do have other priorities," Agrawal said. While confident that Congress will approve the funding eventually, he does have "anxiety" that it hasn't yet been resolved. He stressed that NQF continues to play an important role in the push to value-based care and quality improvement. The organization is actively called on by the federal government, particularity the CMS, as a resource to help drive quality measurement efforts. "There are clearly quality challenges we continue to face and as long as that is the case, there is a role for NQF," Agrawal said. Healthcare organizations also have publicly called on Congress to authorize funding for NQF. In a Health Affairs blog post last week, leaders from organizations representing about 500,000 of the nation's physicians wrote that NQF helps "to prioritize the measures we should use to improve patient care, to identify and reduce measures of lesser value, and to align and harmonize the use of good measures across care settings, payers, physicians, and other clinicians." 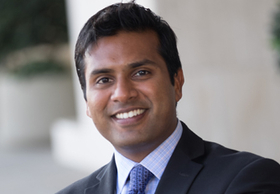 Dr. Ashish Jha, a professor of health policy at the Harvard School of Public Health, in a NEJM Catalyst column last month, argued that NQF is a critical to ensuring that quality measures are rooted in evidence. "Poor quality measures have consequences. When the field is littered with scientifically unsound measures—and most hospitals end up with high ratings under at least one measurement scheme—it becomes difficult for consumers to choose, for payers to push for accountability, and for provider organizations to be motivated to improve," he said. If Congress doesn't approve funding by the deadline—or even afterward—Agrawal said "our doors will be open regardless." NQF also receives funding from healthcare stakeholders, such as providers and patient advocacy groups. Agrawal said he's interested in growing those revenue streams. Although, he noted, continued congressional support is important because it is a way to demonstrate that value-based care remains a priority at the federal level. "As we are focused on this transition to value, we can't let the momentum for quality improvement abate," he added. "NQF still needs to be part of that solution to continue to drive us forward."